Cutting my makeup collection down to just 5 products would be a real challenge, in fact I think it would be more like a nightmare than a challenge but if I had to for the sake of this post then there’s 5 stand out products I couldn’t be without. Whist I’m always trying new products these are the ones that just seem to work for me, the ones I find myself rushing out to repurchase when I run out, I like to call them my ultimate holy grails. Nars Radiant Creamy Concealer | This concealer is my life, no matter how many others I try I always seem to come back to this little gem. As I have acne scarring and rosacea I just feel so much more confident when I have even a little bit of concealer on to help cover it. This ones full coverage, lasts all day and doesn’t leave me looking like a caked up mess so I couldn’t be without it. The Nars Soft Matte Concealer was also close to being my number one but I feel like RCC is my ride or die and we’ve been through a lot together over the years so I had to stay loyal. MAC Studio Fix Powder | As a combo/oily skinned girl powder is a must because I can’t deal with that unwanted shine coming through. Studio Fix Powder is the one I couldn’t be without, I always keep it in my handbag for on the go touch ups. As it’s actually a powder foundation it gives that bit of added coverage whilst keeping my skin looking matte but not flat, I also find it makes my skin look so smooth and it blurs over my dreaded pores. Maybelline The Falsies Push Up Angel Mascara | Without mascara my lashes are practically non existent. If there was only one product I could have it would be mascara, I wear it every single day even on days were I don’t wear base makeup as I just find it makes me feel so much more me. The Falsies Push Up Angel is my current favourite and it’s been the one I’ve found myself reaching for daily. I find it adds the perfect amount of both length and volume without looking clumpy and it lasts all day on my watery eyes, I swear by Maybelline mascara’s and I have done for years! NYX Micro Brow Pencil | My natural eyebrows are shocking, they’re so sparse and uneven (thank you alopecia) so I find I have to fill them in or else I’ll risk looking like a potato head. I tend to switch it up between different brow pencils and whilst I have a few I love dearly, this one from NYX has been the one I’ve found myself using now my hairs a bit darker as the colour match is perfect. I love how precise this pencil is and how easy it is to achieve natural looking brows with it, it’s a very close dupe for the ABH Brow Wiz at a much more affordable price. Benefit Gimme Brow | With my brows being so sparse I rely on anything to help make them look a little thicker and Gimme Brow is the one. I find it really does add volume to my brows whilst setting them in place. Somedays I’ll just wear this when I don’t have time to sit and fill them in with a pencil as I find it makes my brows look a little more presentable. This is by far the best brow gel I’ve ever tried and I couldn’t be without it. 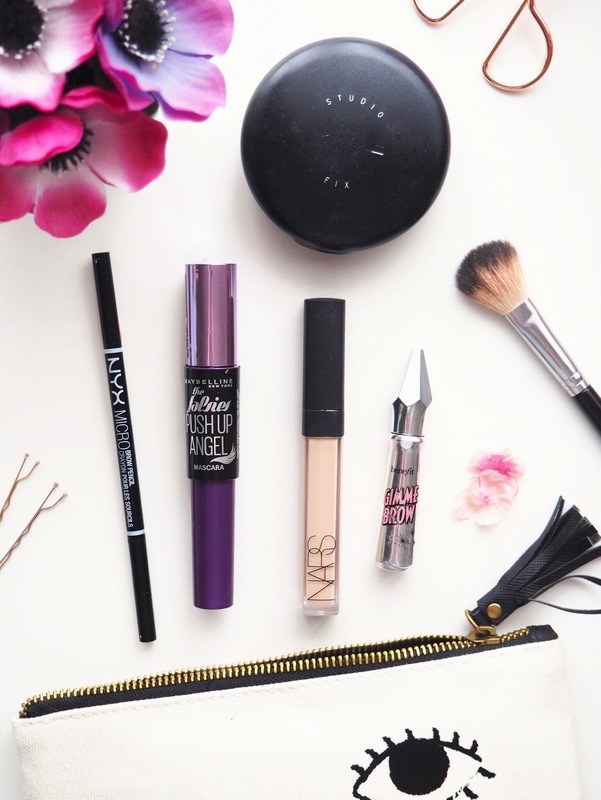 If you had to cut your makeup stash down to 5 products, what would be some of your picks?